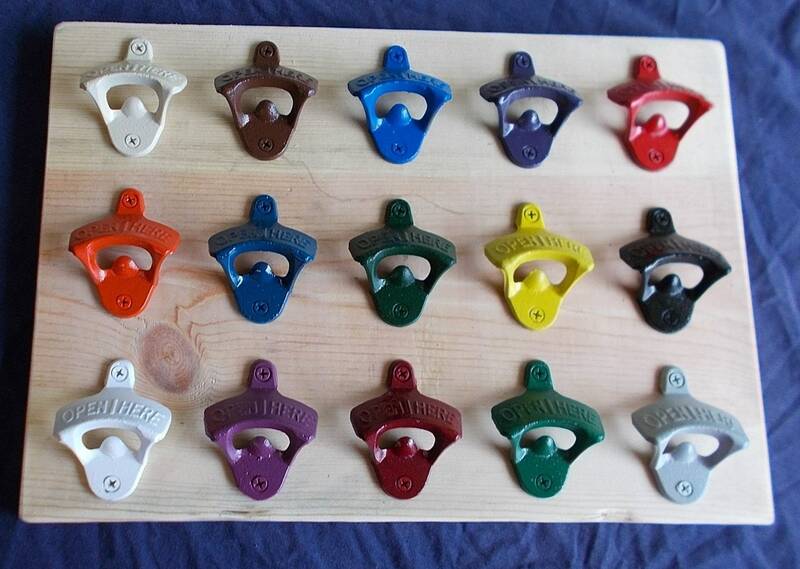 A wall mounted bottle opener hand painted and available in various colors. Included are two #8 x 3/4" wood screws with the heads painted to match. Free ground shipping.